One of the most important duties of a Companion Aide and/or Home Health Aide is preparing the client’s food. When meal planning for older adults, be sure to offer a variety of foods based on the five food groups, with alterations, as needed, depending on the client’s medical and dietary needs. 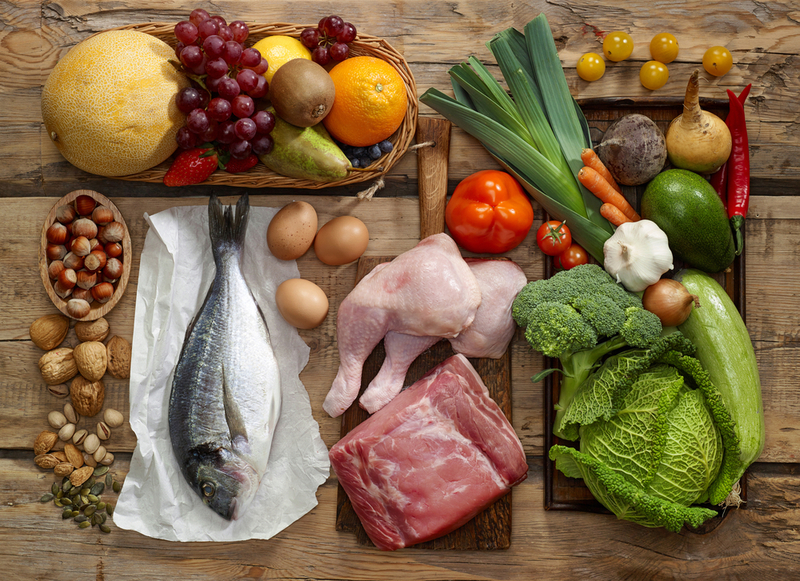 A healthy diet of protein, fats, and carbohydrates ensures that clients get the right balance of nutrients. Companion Aides and or Home Health Aides should include the client as much as possible in diet planning and preparation process. Caregivers should talk to the client about their personal taste and food preferences. Also, stay on top of dietary restrictions and allergies. For example, a person who is lactose intolerant cannot have dairy products and may need an alternative such as almond or soy milk. Likewise, keep aware of religious restrictions. The caregiver may need to learn how to select, store, and prepare kosher foods for a Jewish client. Or a Catholic might avoid meat during Lent. So, supplement their diet with another protein such as fish, beans, or tofu. The USDA sets dietary guidelines on My Plate. This has replaced the old food pyramid as a way of explaining how to create a balanced diet. My Plate still shows the same 5 food groups that are the building block for a healthy diet. Try to include a balanced portion of grains, fruits, vegetables, protein, and dairy throughout the day. Variety is key. Offer an assortment of different foods at each meal. Also, caregivers should be sure their client is drinking plenty of fluids. Milk and water are best—avoid sugary drinks when possible. For dinner, you might cook seared salmon with spinach and quinoa. Salmon provides protein and many other essential nutrients. Quinoa is a healthy whole grain with dietary fiber and protein. Spinach and other green, leafy vegetables are full of vitamins and antioxidants. Strawberries are a good source of iron. Cook the meal and serve it with a cup of fat-free milk for added calcium. 1. In a small saucepan, simmer 1/4 cup, plus 2 tablespoons, water with the garlic and salt. Add the quinoa and simmer until the liquid is reduced by half. Remove from heat, cover, and cook until the quinoa is tender and the liquid is absorbed, about 10 minutes. Remove from the heat, uncover, and let cool slightly. Add juice from one lemon wedge. Stir in the green onions and season to taste with salt and pepper. The quinoa can be prepared ahead of time and served cool. 2. Heat the olive oil in a skillet. Season both sides of the salmon with salt and pepper. Add the salmon to the skillet and cook until just browned on the bottom. Turn the salmon and quickly sear until the second side is just golden brown and the salmon is not quite opaque in center, about 2 minutes longer. 3. Toss the spinach and strawberries with vinaigrette dressing to cover. 4. Finally, top the quinoa with the hot salmon. Drizzle the salmon with vinaigrette and lemon juice. Garnish with a lemon wedge and serve.